Angkor Wat Tour – Welcome to Angkor Wat, a temple complex in Siem Reap, Cambodia. Among all the important ancient structures, it is the southernmost of Angkor’s main sites. It is the largest Hindu temple in the world. It was built by Suryavarman, the Khmer king, for his state temple. Originally, It was dedicated to the Lord Vishnu by the king breaking the Shaiva tradition of the previous kings. Later, it gradually transformed into a center of worship to Buddhism by the end of the 12th century and it continues to the present day. Angkor Wat temple reflects the high classical style of Khmer architecture, represents Mount Meru, a sacred mountain in Hindu mythology. But, Unlike most of the Hindu temples, Angkor Wat is oriented to the west. It has drawn praise for the harmony of its design, and it is admired for its grandeur, and for the numerous devatas adorning its walls. In 1992, Angkor Wat was listed in UNESCO’s World Heritage in Danger (later removed in 2004) and World Heritage Site together. Cambodians are very proud of Angkor Wat temple that they honored it by placing on their national flag. Angkor Wat is Cambodia’s prime attraction for tourists. It is the main reason for almost all the tourists to visit the country. It attracts more than 2 million tourists annually from all over the world. Besides the grandeur of the temple, the sunrise at reflection ponds of Angkor is not to be missed. On the top of Phnom Bakheng, a Hindu and Buddhist temple in the form of a temple mountain, you can have a beautiful view of Angkor Wat temples with the sun coming up behind it. The tourist attractions in and around Angkor Wat are Angkor Wat temple, Siem Reap, Bayon temple, Angkor Thom, Angkor National Museum, The Cambodia Landmine Museum and Relief Centre, Preah Khan, War Museum Cambodia, Phnom Kulen, Bakong, Tonle Sap, Three floating villages – Kompong Khleang, Kompong Phluk, Baphuon temple, Chong Kneas, Phnom Dei, and Banteay Srei. Are you tired of searching for the best Angkor Wat Tour Guide for you? If yes, you are in the right place now. We are the local Angkor Wat Tour organizers, have been working as professional tour guides in Angkor Wat, Cambodia for many years. We have been organizing Angkor Wat Tours successfully for many years. 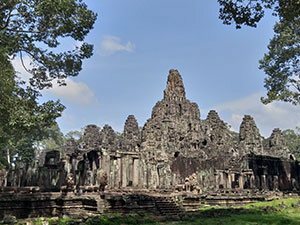 Besides showing you the ruins of Angkor Wat, we also explain to you the history of the temple, arts, cultures, traditions and local of Cambodia. As it is a prime attraction of Cambodia, it is overcrowded most of the time. But, we make sure you to avoid too much crowd at the temple, we make sure you get ample amount to explore all other beautiful places without any hassle. 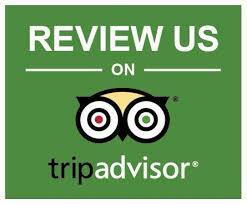 We are also very committed to providing you with a customer friendly services during each step of your journey. 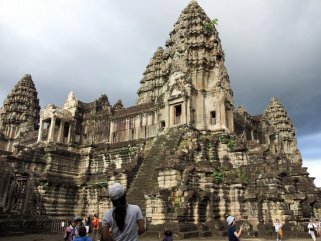 We designed different Angkor Wat Tour Packages for our customers so that they experience the rich history, lifestyle, cultures, traditions, and beautiful places in Cambodia at an affordable cost. Find all the Angkor Wat Tour Packages of Asia Private Guide Service here. After breakfast in the morning, you will be picked up from hotel to travel the main temples. It is the unique itinerary for you and can make you learn a lot about Cambodian’s history and culture. You will remember the great memories and you will have time to relax at your hotel too. At first, we will take you to visit the magnificent Angkor Wat. This temple is the largest religious building ever contracted and is one of the wonders of the world. Believed to have been undertaken as a temple and mausoleum for King Suryavarman II during Khmer empire in the first half of 12th century, the UNESCO protected the site and also can absorb millions of the tourists a year. Then move to Angkor Thom complex-south gate or victory gate, and was the great ancient capital in Angkor Archaeological Park. We will continue to visit Bayon temple in the heart of Angkor Thom capital and is the most beautiful temple with giant faces each tower. We will move to Ta Prohm Temple, built as a Mahayana Buddhist monastery and university by King Jayavarman VII. This temple is one of the most atmospheric in the whole region, ruin by nature. We can see the large trees growing straight out of the stones and is a stunning jungle-covered complex that is the best visited for travelers. On the way after the tour ended if you would be interested to see something else please let my tour guide know in advance.